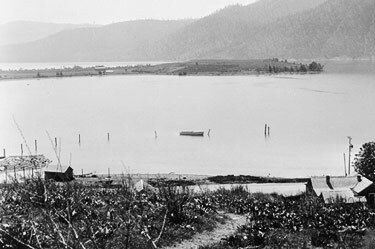 Wapato Point on Lake Chelan has a long and interesting history. The Wapato Family has owned Wapato Point for over 100 years. This area was originally part of the Columbia or Chief Moses Indian Reservation, established by two executive orders in 1879 and 1880. The reservation originally extended from Lake Chelan and the Chelan River on the south; to the Columbia and the Okanogan River on the eastern side; to the Canadian border on the north; and to the crest of the Cascade Range on the western side. Almost immediately, white stockmen and gold seekers began a movement to break up the reservation. On February 23, 1883, President Chester A. Arthur signed an executive order, which restored to the public domain, a strip of land fifteen miles wide along the Canadian border. 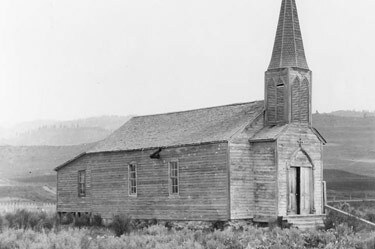 A few months later, on July 7, 1883, Moses and two other chiefs signed a document in Washington, D.C., which made it possible to open the reservation for homestead and mineral entries. The so-called Moses Agreement stipulated that certain Indians, then living on the Columbia Reservation… “shall be entitled to 640 acres, or one square mile of land, to each head of the family or male adult, in the possession and ownership of which they shall be guaranteed and protected.” Although the tracts would be allocated to the sole possession of the Indians specified, those who did not choose to take such special allotments could move to the Colville Reservation, where they would be accorded full rights. Members of the Wapato Family were among those who claimed allotments. This family, whose patriarch at the time was Nekquelekin (Enkawhakekum) or Wapato John (sometimes misspelled Wappato), had previously lived along the Columbia River above Ribbon Cliff in the Entiat Vicinity. In 1884, Peter Wapato, son of John, obtained the Wapato Point areas as part of the Moses Agreement allotment No. 10, and his descendents still maintain his interest. 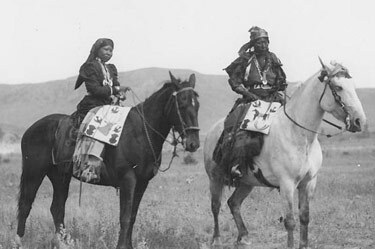 Later, the Point became a gathering place for local Indians, who played the stick game, ran their horses on a half-mile racetrack, and staged rodeos. A grandstand was erected at the racetrack, which was located on the west side of the neck of land leading to Wapato Point itself. Nearby, on this neck, family members operated a dance hall from the late 1920’s into the 1940’s. They also planted fruit trees on the east side of the neck. Nothing is left standing of the early structures. In the 1950’s and 1960’s, the family maintained facilities for camping, swimming, and boating. In the early 1900’s, the local settlers, through the Wapato Irrigation Company, convinced Congress to reduce the size of the allotments previously awarded the Indians. In March 1911, Congress did diminish the allotments to only 160 acres. In the 1930’s, the water level of Lake Chelan was raised 22 feet, causing approximately 50 acres of the final 160 acres to be under water, when the lake is at high water, 1100 feet elevation.